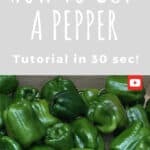 Do you know do you cut a pepper in 30 secondes? 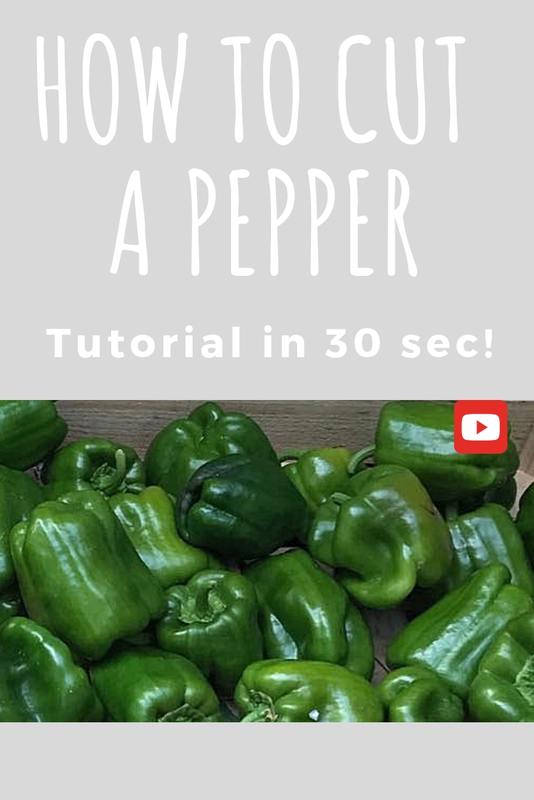 I cut so many peppers for my kids that I have gotten fast at it. Chop chop chop and here are your pepper sticks or if you want to use your newly learnt term, you can say you cut them julienne. [How to] series: I will share 2 cutting tutorials and one technique. Next, I’ll give you a great recipe which will allow you to use your 3 new skills you will have learnt this week. So far, I shared how to cut an onion, today, the pepper and coming up will be a technique AND finally a delicious recipe. Also, don’t forget to follow my Youtube channel and give me thumb up if you enjoyed the video(s). For this video, I used my Henckels chef knife, it’s been my all time favorite fro the past 10 years. But more recently, I got the Henckels Santoku knife and I have to admit, I totally obsessed with it! Do you have any special request? Is there anything you would like to learn and I could share with you? I am not a professional but I know a thing or 2! On top of this space, I love sharing on Instagram, I share menu ideas, I teach you French expressions or anything else food related! Come and follow along! Disclosure: I absolutely love what I do and I’m not an expert but I’m happy to share with you guys! Specially if it can inspire you to cook more at home and enjoy it!